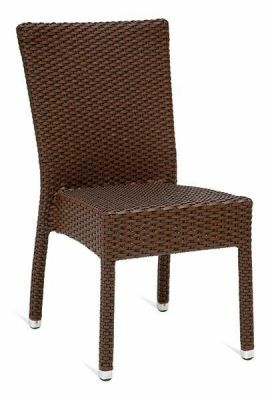 Outdoor side chair in a Brown synthetic weave available from stock and delivered in 2-3 days. Delivered assembled and ready to use, we can offer a Free UK delivery with this range of furniture. Brown weave side chair designed for outdoor use in commercial spaces.